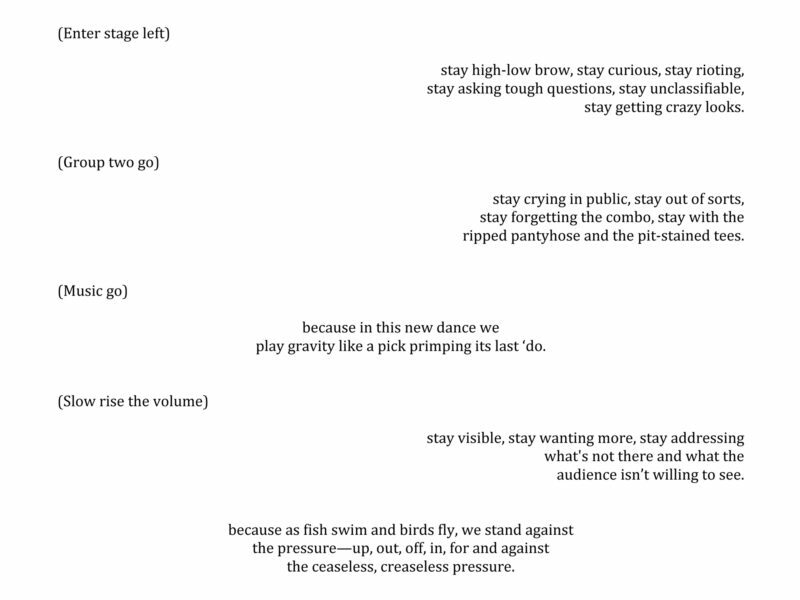 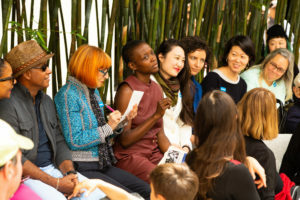 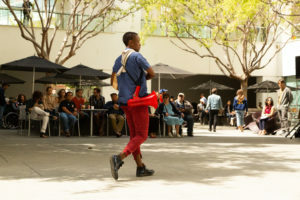 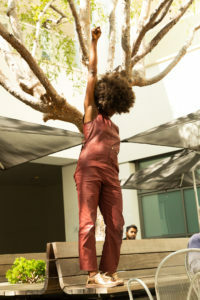 For “Made in L.A. 2018,” I expanded upon an ongoing piece with WXPT collaborator Meena Murugesan, called counts orchestrate, a meadow (or weekly practice with breath). 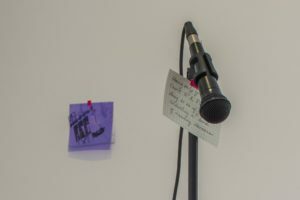 Drawing on the notion of breathing as a fundamental activator of the body, the installation is filled with audio of breathing that i solicited from artists and friends. 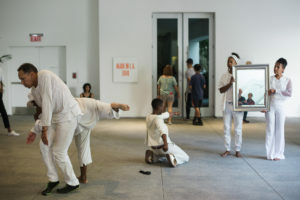 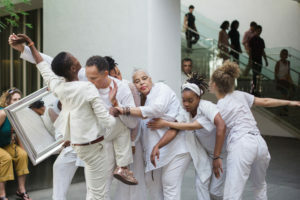 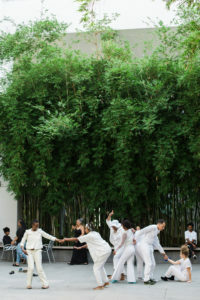 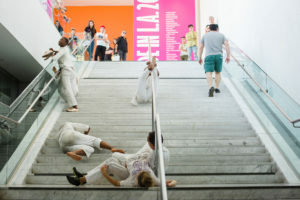 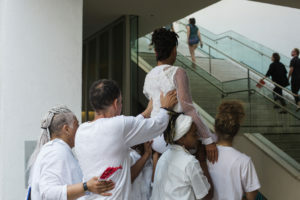 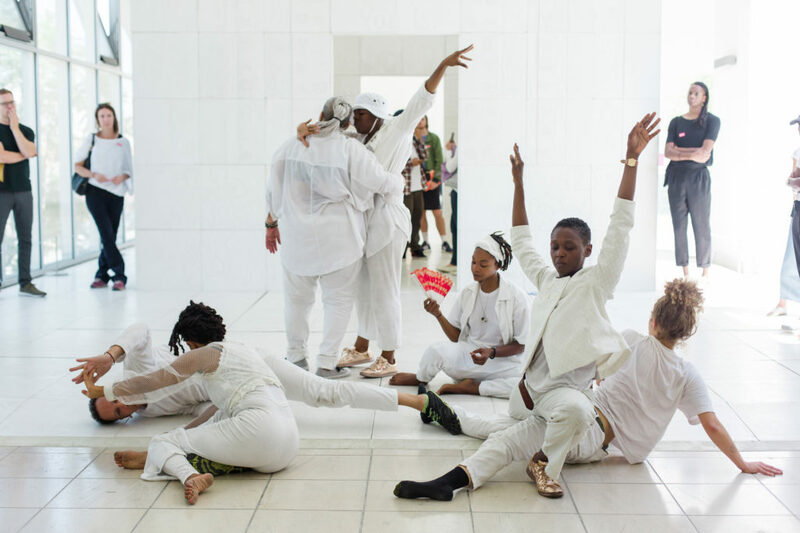 An ensemble of dancers generated and executed embodied practices, rituals and actions built from the installation’s sonic breathscapes. 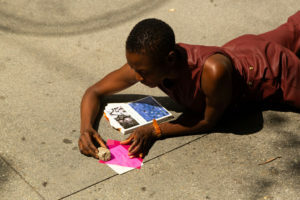 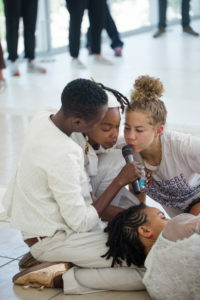 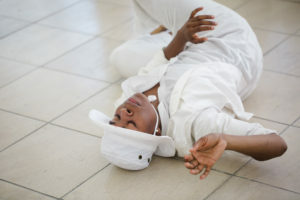 The dancers’ collective actions were documented in rehearsal spaces outside of the dance studio and materialized in the gallery through video. 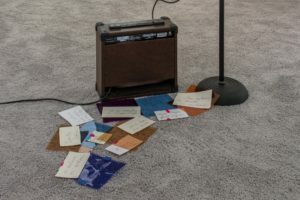 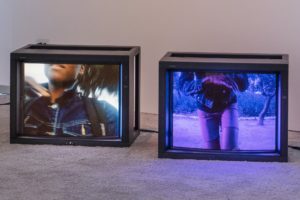 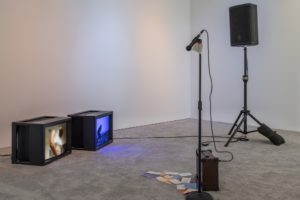 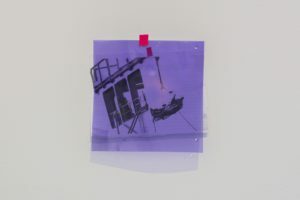 The installation is an activated meadow—a term the artist uses as a metaphor for how a portion of land, not unlike a dance studio, can be understood and imagined as political and a site of potential. 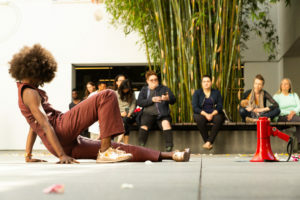 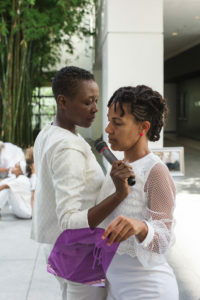 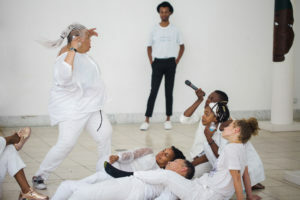 counts orchestrate, a meadow (or weekly practice with breath) was built on the work of WXPT and the materials from “Endless Shout.” Through actively politicized contact improvisation, two queer bodies blurred and bended with the boundaries of each other and the objects in the room. 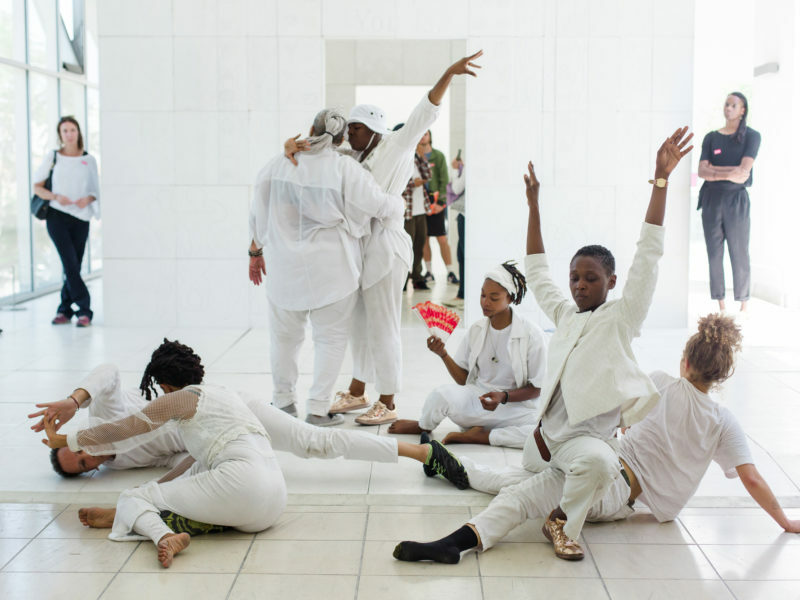 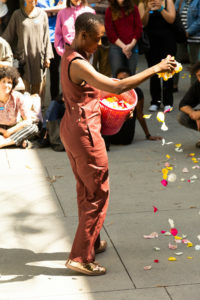 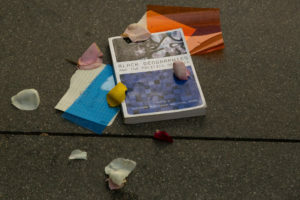 They held vigil and created public space for the seemingly intentional obsolescence of the black body. 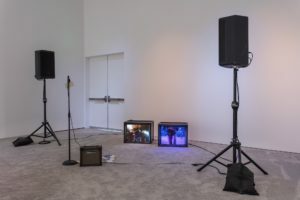 This work was accompanied by breath scores solicited from members of paggett’s community.